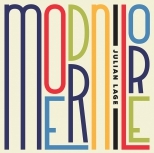 Modern Lore is the newest album by one of the great contemporary jazz guitarists, Julian Lage. The second project working as a trio, he creates a nuanced, yet spunky blend of jazz, country, and good old rock ‘n roll. The album is a rhythmic journey. Each track contains something different, sometimes drastically so; but the twang of his Telecaster remains a constant that is pleasing to listen to. Lage really loves to play that electric guitar. It boldly drives the music forward while the rhythm section jams along with creative additions. The first track of Modern Lore is called “The Ramble,” a high-energy tune that gives a perfect insight to the boldness of the entire album. The band pulls all the stops with changing time signatures, contrary keys, and wildly good musicianship. These guys know how to play, and each has a moment to shine in this one. A vast majority of the record has an upbeat tempo, rarely going below a steady jogging pace. That being said, there are a couple of moments where the band indulges with a slower tune. The most noteworthy is “General Thunder,” a sultry song that is adventurous but nostalgic. It has that feel of an old western film but in a deconstructed, jazzier version. The guitar playing is front and center and Lage takes full advantage by playing with lots of reverb, further enhancing the various tones and rhythms. “Whatever You Say, Henry” is another one of these indulgences that is obviously well performed, but its subtlety is underwhelming. There are a ton of great moments in Modern Lore and the song “Earth Science” is one of, if not the best. It’s a shame it’s the shortest number on the album because it is the most diverse and intriguing. Lage uses free jazz elements in a way that is exciting and carefree but nuanced enough for it all to seem purposeful. Julian Lage is a genius on the guitar, but Kenny Wolleson on drums is something really special; adding delicateness and wickedly fast accenting. 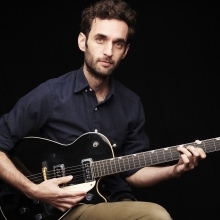 Overall, Julian Lage’s Modern Lore is a record totally worth listening to. Lage, Wolleson, and Colley are masters at their respective crafts and together created a work that keeps listeners engaged. It is diverse in its influences but blends together in a very interesting way. This is what makes it feel familiar yet new at the same time. The rhythms evoke memories of past genres like swing and classic jazz, while that Telecaster brings a bit of country to the mix. This album is accessible to everyone, no matter what genre of music you are comfortable or listen to the most. Chances are, you will find hints of it hidden amongst these songs.